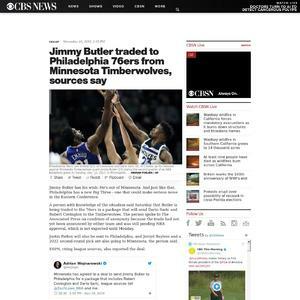 The Timberwolves are sending All-Star Jimmy Butler to the Philadelphia 76ers, Shams Charania of The Athletic reports. 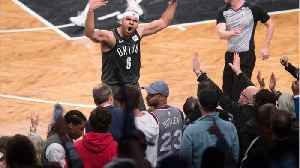 What started out as some beef between Ben Simmons and Jared Dudley has now escalated into Jared Dudley trying to beef with the other stars of the 76ers roster. 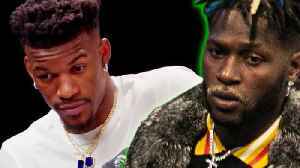 In the third quarter, Joel Embiid tried..
Jimmy Butler Reveals WHY He Owes Antonio Brown 30 THOUSAND Dollars! 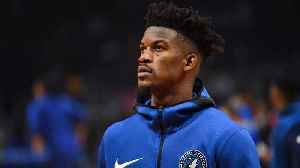 Jimmy Butler is a vocal guy inside and outside of the locker room and can most of the time back it up. Now Jimmy wouldn’t think to trash talk an athlete in a different sport, and a pro bowler at that..